Chennai: Tamil Nadu assembly on Thursday passed a resolution urging the centre to set up Cauvery Management Board (CMB) as ordered by the Supreme Court in its final order on river water sharing dispute. Speaker P Dhanpal will be sending the unanimously passed resolution at a special sitting convened today to the central government. The resolution called for setting up CMB within six months and that it should be independent and objective in its working. The CMB should be allowed to function independently and in a free and fair manner. The centre should listen to the grievances of Tamilian population, a senior AIADMK leader said. 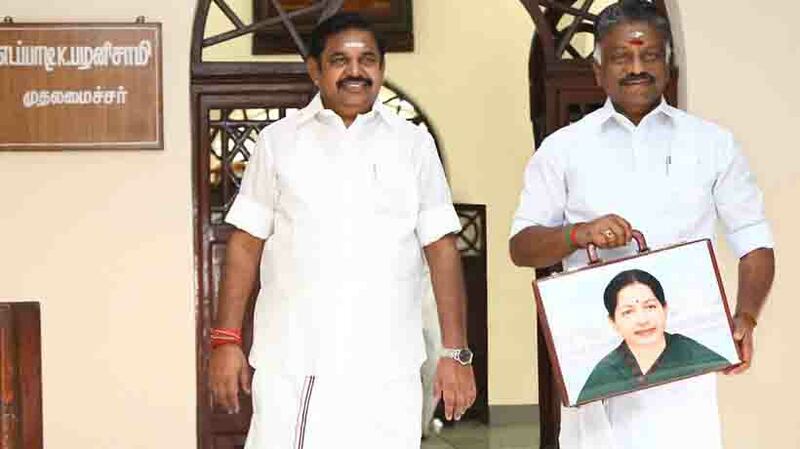 Earlier moving the resolution, chief minister Edapaddi Palaniswami said Cauvery issue is a very emotional issue for the state and its people as also the people are intimately connected with Cauvery water. The resolution was supported by all parties. Opposition leader, DMK working president MK Stalin said the DMK wholeheartedly supported the resolution. In fact, the DMK members wore black badges in protest against the central government’s attitude towards the Cauvery and alleged that it was deliberately not forming the CMB. “It is not time to blame each other. More attention is to be paid to the farmers’ plight,” Stalin said. Farmers leaders from Cauvery delta in Tamil Nadu allege that the central government was dilly dallying on the CMB formation due the elections due in Karnataka. So far, Karnataka has not accepted any of the SC orders, Stalin said added that “it was time for leaders of all the parties to meet the Prime Minister and pressurise him into forming CMB. Now only 15 days are left, he said. The SC in its February 16 order had said that the CMB should be formed within six weeks.